A very concise and comprehensive article that summarises the political and economical process in the Egypt of Mubarak. While these processes place the Egyptian regime easily in the category of a Dictatorship, its alliance with the US and its vital role in Middle-Eastern politics shades it from real Western criticism. In a country where commenting on its leader's health lands you in prison and millions languish in poverty, Global Business is booming. LONDON-When Egyptian President Hosni Mubarak sneezes, foreign investors get a cold. 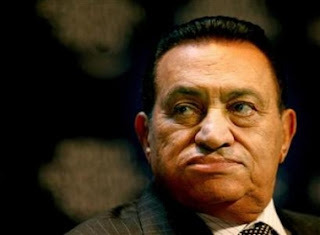 At least, that was the theory put forward by the Egyptian Central Bank, which claimed press rumors questioning Mubarak's health had lost Egypt $350 million in foreign investment in two days. This accusation helped put newspaper editor Ibrahim Issa behind bars on Thursday, along with three of his peers, after an Egyptian court ruled that all four editors had defamed Mubarak and his son Gamal in their publications. They now face one year in prison plus a fine of 20,000 Egyptian pounds ($3,536.66) each, with bail set at 10,000 pounds ($1,768.33) each, according to Issa's Al-Dustour newspaper. Although this is another sign of President Mubarak's tight control and censorship of the media in Egypt, it also implies that his regime associates an upswing in foreign investment with the longevity of his almost pharaonic rule. "Foreign investment really has to do with the stability of the country," said Arsene Aka, analyst with Global Insight. Although he found the central bank's readiness to put a figure on the cost of freedom of speech "a bit disturbing," he admitted that from an economic standpoint, it did make sense. According to Aka, the $350 million figure was probably a rough calculation of what a few days' rumors could cost Egypt's already impressive achievement of $9 billion in foreign direct investment so far this year. "If Mubarak dies, investment will halve," he warned. The presidency of Egypt has only twice changed hands since the overthrow of the monarchy in 1952, moving from Gamal Abdul Nasser to Anwar Sadat, and on to Mubarak, who rapidly assumed control after the shocking assassination of his predecessor at the hands of Islamic extremists in 1981. But although the 79-year-old Mubarak looks set to avoid the assassin's gun, his allegedly faltering health could worry investors that he has not done enough to ensure a smooth succession. His 43-year-old son Gamal has attempted to take an active role in politics, but perhaps not enough to gain popular legitimacy, which is still elusive given President Mubarak's undemocratic control of all spheres of Egyptian political life. The irony is that Mubarak is less central to foreign investment than Ahmed Nazif, who has served as prime minister since 2004. Alongside Rashid Mohamed Rashid, industry minister and former president of the Middle East division of Unilever, he has boosted privatization and kept inflation under control. Opening up the financial sector has been a particularly popular move. Italian bank Sanpaolo IMI threw down $1.6 billion for an 80% stake in Bank of Alexandria last year, while the National Bank of Kuwait took a 51% stake in Al-Watany Bank for $522 million last month. This attractive environment saw foreign business in Egypt jump from $407 million in 2003 to $6 billion in 2005. It remains to be seen whether Mubarak's departure from the scene will have as dramatic an effect on foreign investment as some imagine, or whether the transition of power will be an orderly process, albeit a queasily undemocratic one. Egypt should really get rid of Dictatorship and corruption ASAP.